First things first! Who watched The Bachelorette? Now, on to the tastiest treat in the world! These little guys get a bad rap for being very difficult, but to be honest, I didn't have any issues. I followed the recipe exactlyyyyy, and they turned out great! Just be forewarned, if you make these, you will eat them all. At once. 1. Mix the confectioners' sugar and almond flour until combined. Sift mixture 2 times... And really though, 2 times. There will be little pieces of the almond flour that you want to remove so that the tops of the shells are smooth. 2. Whisk the egg whites with a mixer on medium speed until foamy. Add cream of tartar, and whisk until soft peaks form. Reduce speed to low, then add superfine sugar. Increase speed to high, and whisk until stiff peaks form, about 8 minutes. 3. Fold the flour mixture into the egg whites until the mixture is smooth and shiny. Add a few drops of food coloring and a 1/2-1 tsp of flavored extract. 4. Transfer batter to a pastry bag, and pipe 3/4-inch rounds 1 inch apart on parchment-lined baking sheets (I used a Silpat). Tap bottom of each sheet on work surface to release trapped air. Let stand at room temperature for 15 minutes. The tops of the macarons should be sticky (not wet) before putting in the oven. 5. Preheat the oven to 375 degrees. Once the oven reaches this temperature, put the macarons in the oven (I double linked my baking sheets) and reduce the temperature to 325 degrees. Bake for 10 minutes, rotating half-way through. Before baking the next batch, return the oven to 375 degrees, replace the baking sheet and then lower the temperature to 325 degrees. 6. 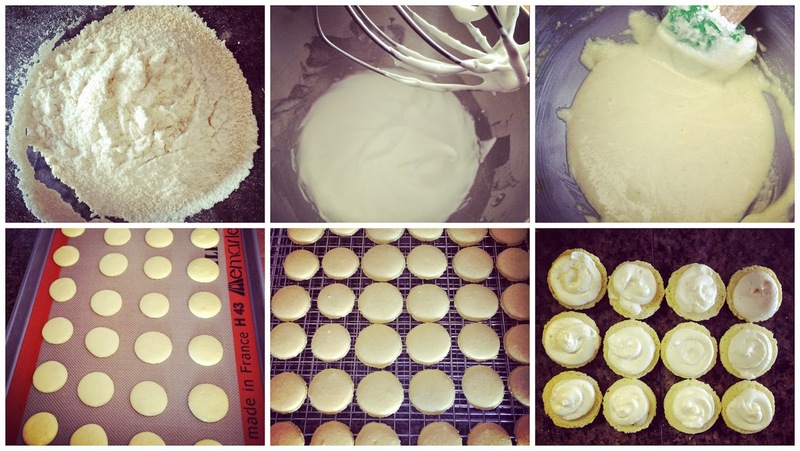 Let the macarons cool on the baking sheet for 2 to 3 minutes, then transfer to a wire rack. I found that it was easiest to peel the macarons off the sheet... not just pick them up. 1. Heat egg whites and sugar in a sauce pan until the sugar dissolves and the mixture reaches about 160 degrees. 2. Transfer the egg whites and sugar to a mixing bowl and beat mixture on high speed until it forms stiff peaks. Continue beating until fluffy and cooled, about 6 minutes. 3. Mix in butter (several tablespoons at a time), beating well after each addition. Once mixed, beat in extract and any desired food coloring. 4. Sandwich 2 same-size macarons with 1-2 teaspoons filling. Serve immediately, or stack between layers of parchment, wrap in plastic, and freeze for up to 3 months... but if you're anything like me, you'll just eat thee babies all at once! The first batch of macarons that I made were almond, but I decided I wanted to make a mint chocolate... and let me tell you, it was a winner! To make them mint, add mint extract to the shell batter. For the filling I made a chocolate ganache. Bring 1/2 cup of heavy cream to a boil in a saucepan over medium-high heat. Pour cream over 3 1/2 ounces of dark chocolate in a heatproof bowl. Let stand for 2 minutes. Add 1 tablespoon of unsalted butter, then whisk mixture until smooth. Let cool, stirring often. Use immediately. For my last batch (yes, I made three batches... they were so good that I couldn't resist!) I made lemon. I used vanilla extract in the batter, and added lemon extract to the butter cream frosting. These little guys are so tasty and would be great to give as favors or as mini treat after a big dinner. Don't forget to enter basically the best giveaway ever... Tieks! And it's the last day to enter the Printable Wisdom and Target giveaway! Omg! They look so good!! I may have to try them if you say they're not that bad. I've only ever heard horror stories! They look amazing!!! I always think macaroons look really fiddly but i'm thinking i may have to give them a go! OH my gosh. I am about to drive to AZ as we speak with a car I do not own! holy cow my mouth is watering! Yummmm!! And YES the bach was great... I love them together!!! 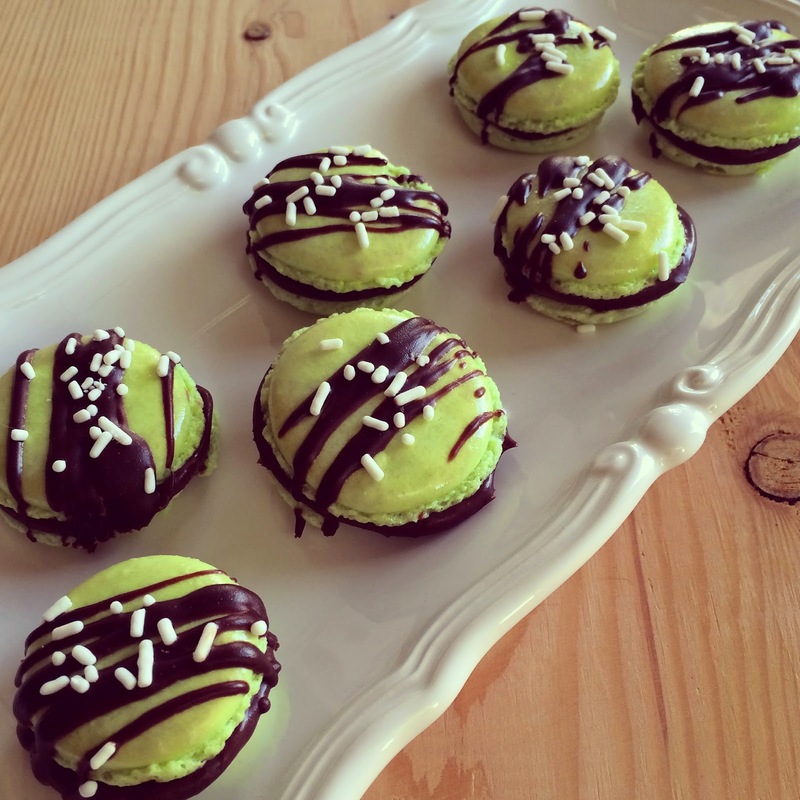 I've never had a macaroon, but these do not look homemade at all-- you did an amazing job! Pinning this! We're doing a Parisian theme for my sister's bridal shower and were going to order macaroons - but now I just may make them! You never cease to amaze me!! They look absolutely divine!! And I'm with you on #TeamJosh! oh good gawd. I am making these and damned if I'm sharing them! yum. Um, do you have a secret life as a bakery owner? These look amazing!!!! 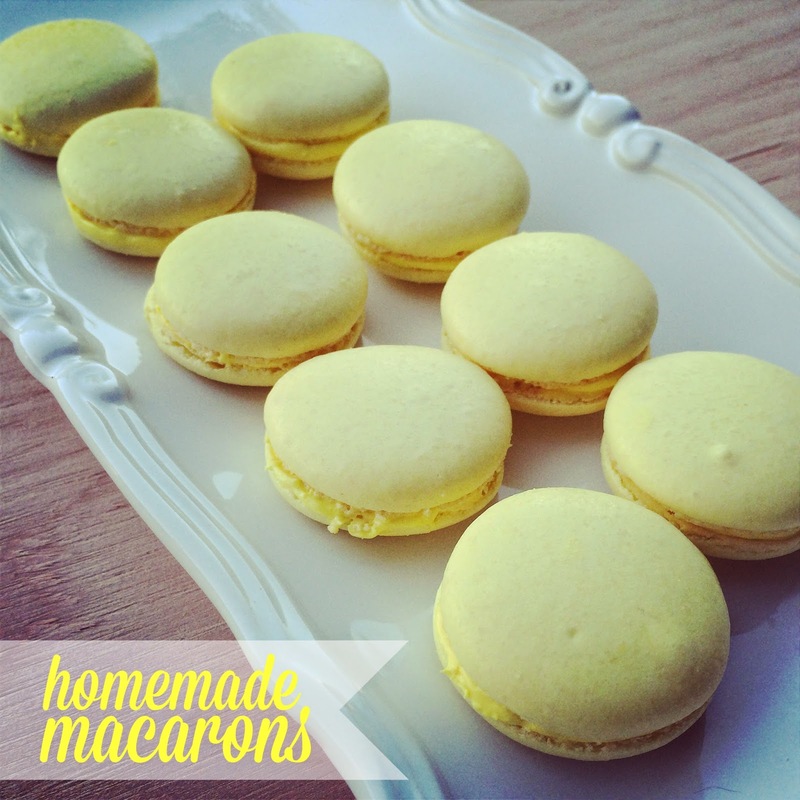 I LOVE macarons but haven't tried to make them because I've heard they are a pain! Yours came out so great, maybe I'll try them out soon! These look so good! I'll have to try this sometime soon!! Happy Tuesday! oooh I'm impressed! Those intimidate me! you make baking look so easy! these look wonderful. and i'm not a fan of nick either. boo! glad he lost. They look delicious! I am most definitely going to have to give this a try! There is no way I have the patience to make these, but man are they impressive! Great job! You never seize to impress me! I am so impressed girl!!! Those look so beautiful! I am so impressed right now! Do you deliver?! Holy cow girl, these are beautiful and look so delicious! Good job! Please let it be farmer Chris!!!! OMG these are seriously amazing! I love a macaron but have always been too intimidated to try to make myself! Great job!! PS where did you find those perfect boxes for them? Can you believe I've never had a macaroon?! I have no idea why but I may just have to give these a try! And a big YAY for Farmer Chris as the next Bachelor! I can't wait! I absolutely LOVE macaroons! I'll have to give this recipe a try. Love love love it! Excellent tutorial! And these look so delicious! 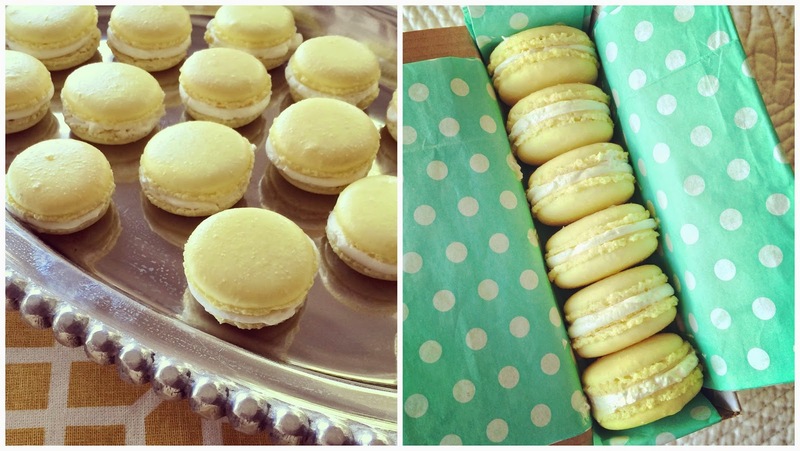 I've never made my own macaroons, but you make it look easy, so I'll have to try this soon! :-) And I loved the Bachelorette ending too! Andi and Josh are adorable together. Damn girl! You are seriously the next betty crocker/martha stewart! Amazing! I don't think i would have the patience to make those! But they certainly look delicious!!! Wow those look amazing! I've never eaten a macaron, let alone made them! I love anything mint, so those mint chocolate ones would be my favorite I think...or lemon sounds good too. These look amazing! I've never actually tried macarons but these look delicious! And I agree, Andi and Josh just look like they go together! Wasn't a fan of Salty Nick either. Lisa I just got done saying you're the DIY queen and now I'm going to say...you're a baking queen! YUM! I love macaroons but have never tried making them. I suppose as long as I follow your exact recipe I'll have success like you did?! :) Love the serving tray you have them on in the first picture, and putting them in the little box with tissue paper is adorable too- definitely a cute little gift! Thank you so much for linking up with us at Delicious Dish Tuesday this week!